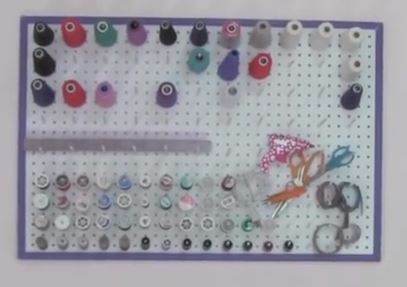 Every seamstress and needlework crafter can use a few accessories to make their hobby more enjoyable. Use free sewing and needlepoint stand plans to help your favorite needle worker get the job done easier and more efficiently. Simple spool racks are easy to build with dowels and scrap lumber. 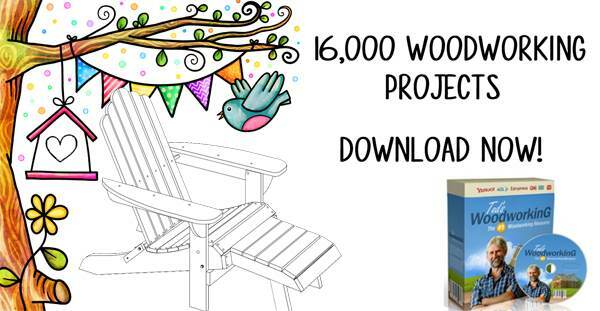 These can be customized to accommodate any size wall space. Use a drill or drill press and space the dowels to accommodate different size spools, as needed. An adjustable needlepoint stand holds the hoop with a clamp, freeing both hands. The floor mounted stand can be adjusted to any angle and height, allowing the crafter to work with ease and comfort. A plan for a small sewing footrest is typical of Shaker simplicity and functionality and is simple to build. 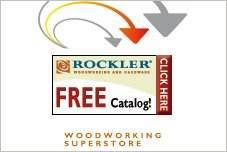 Here is an easy to follow woodworking project for a simple thread rack built using quarter round and dowel rods. Watch this instructional video on how to create a wall mounted and framed thread rack to add to your sewing room. 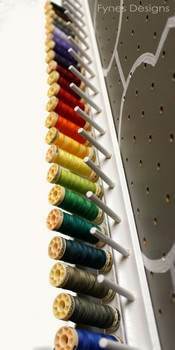 This attractive thread holder holds up to twenty spools of thread and is designed to sit on a shelf or table top. 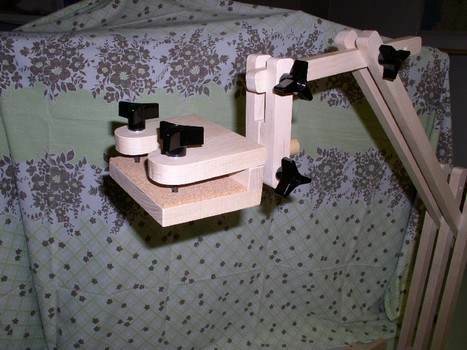 Make needlepoint easier by building this needlepoint stand that will free up both your hands. 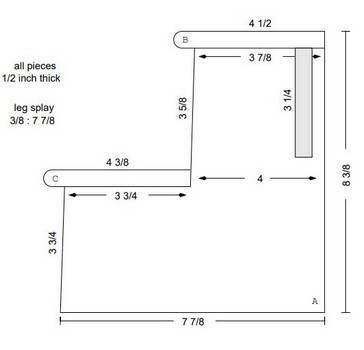 Plans for a foot rest especially designed for the person who is sitting and sewing by hand.